Strangely, this story doesn't seem to have been updated by much of the cycling media, and this Wall Street Journal article is apparently behind a paywall for many. But I'll include the important parts in posts below. After a disputed book passage about ‘motor doping,’ American cyclist Phil Gaimon agrees to a showdown with retired legend Fabian Cancellara. Fabian Cancellara of Switzerland—a.k.a. “Spartacus”—is considered one of the greatest professional cyclists ever, a multiple world champion and two-time Olympic gold medalist who captured eight Tour de France stages and took brilliant victories in one-day races like Paris-Roubaix and the Tour of Flanders. Phil Gaimon, meanwhile, is an ex-American pro who spent two seasons at the elite World Tour level, and whose biggest victory may have been at the opening stage of the Tour de San Luis in Argentina in 2014. 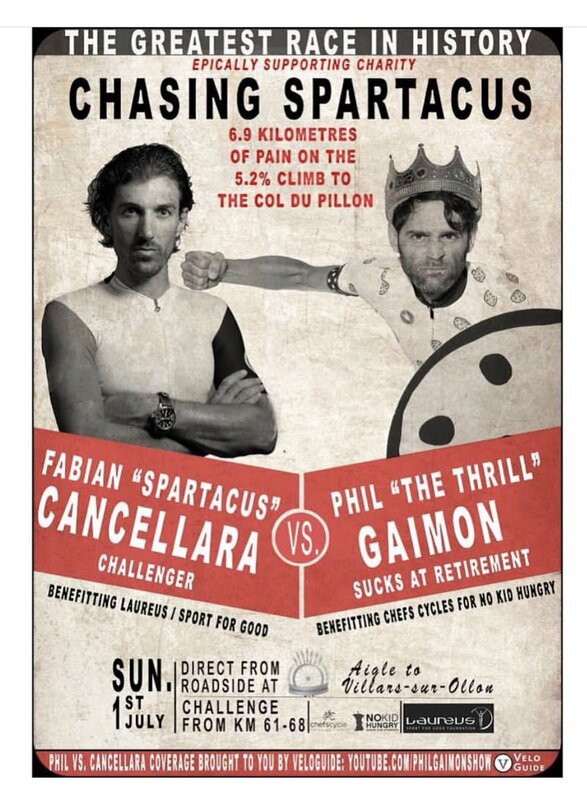 But on July 1, in Aigle, Switzerland—just days before the opening of the Tour de France—Cancellara and Gaimon, two retired cyclists of vastly different trajectories, will square off in a duel that is one of the more unexpected and amusing cycling contests in recent memory. I’ll ask the question for you: Why? It goes back to the publication of Gaimon’s 2017 book, “Draft Animals: Living the Pro Cycling Dream (Once in a While)” which covered his time riding with teams like Garmin -Sharp, the U.S.-based World Tour outfit. Sort of a “Ball Four” for cycling, “Draft Animals” was full of observations about cycling’s less glamorous side—and it included a brief, sharp-elbowed reference to a old rumor, vigorously denied by Cancellara, that the Swiss champ had used a hidden motor in his bicycle at races. Gaimon’s dig riled Cancellara, who has long maintained his innocence against any claims of “motor doping.” There were reports of potential legal action and suggestions that “Draft Animals” could be pulled from shelves—though neither event took place. “It wasn’t nice,” Cancellara said in an interview the other day. Gaimon, meanwhile, found himself barraged by angry emails from cycling fans, and even a couple of death threats, he said. “Honestly, it was one of the worst weeks of my life,” Gaimon said. Now the two men, who have never formally met, are turning the tense back-and-forth over Gaimon’s book into a good-natured competition. Both sides confirmed that Gaimon will join Cancellara at one of the latter’s “Chasing Cancellara” rides in his home country, and, at some point—it looks like it will be a 7-kilometer, 5.2-percent climb to the Col du Pillon—the two will go mano-a-mano. It was Cancellara who initiated the challenge, using Twitter last fall to invite Gaimon to come to a “Chasing Cancellara” event, which are open to the public. “Start training!” Cancellara wrote, adding the hashtag: #nomotorneeded. Gaimon, who is based in Los Angeles, wasn’t sure at first what to make of Cancellara’s challenge. Since leaving the sport in 2016—the same year Cancellara captured a gold medal in the men’s time trial at the Summer Olympics in Rio—Gaimon embarked on a video series called “Worst Retirement Ever,” in which he travels and takes on cycling challenges. Gaimon’s skill is climbing, and for a while, he was preoccupied with breaking climbing time records set by alleged dopers. Gaimon’s post-racing career has been a surprising success. With his travels and exploits supported by sponsors, he said he makes more money now than he ever did racing full-time. Cancellara, for his part, sounded ready to make the best of what began as an adversarial situation. I'm encouraged by this whole thing, because it started off quite contentious between the two of them but has transformed into something quite entertaining and ultimately positive for everyone involved. The above video, while a little bit long, is fun. The second half of it is Phil as he was composing and sending tweets to Fabs. I don't even understand Twitter anymore. They've changed some of their search functions, and altered a lot of the chronological ordering of things, which makes it extra difficult to track down specific tweets. But here's some light-hearted background on some of the unfolding narrative as best as I can assemble here. I suppose it's a bit silly of me to write this when much of the pro sport is such a circus unto itself but I find it utterly impossible to appreciate Gaimon's sense of humour, at least in terms of the self-serving pantomime he is currently scribbling. I always enjoyed his accessibility and his frankness but I struggle to reconcile those valuable assets with this sort of stuff. I guess I'm not his target audience. I often find Gaimon's humor to be - well - not humorous. More like "what?". Still, I'm looking forward to Phil vs Fabian. When does it actually happen? I thot they had scheduled this, but I haven't heard anything in ages. Here are the basics. The fourth edition of Chasing Cancellara is a 90km ride that has a total of 2.700 metres (8900 feet) of climbing. I was extremely amused to learn that given the origin of this duel, the event begins in the Swiss town of Aigle, where the UCI’s headquarters are located. But Gaimon and Cancellara are not contesting this short, hilly fondo like a point-to-point bike race. 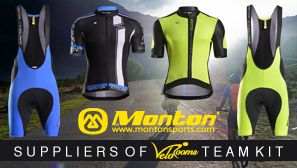 Instead they will cruise the course together and then go mano a mano on a single ascent: the Col du Pillon, a 6.9km climb with a grade that averages 5.2 percent. A quick check of Strava reveals that all the top times were set during Stage 5 of this year’s Tour de Suisse, where a bunch of current pros got up the climb in a little over 14 minutes. Tell me them ain't fightin' words. I dare ya. Actually, Canc comes off as quite the gentleman. Which was always the impression I had of him during his career - polite, considerate, and positive. Looking back on the whole odd episode, Gaimon says he’s happy at how things turned out. He reached his goal of raising $20,000 for charity. He won the climb. 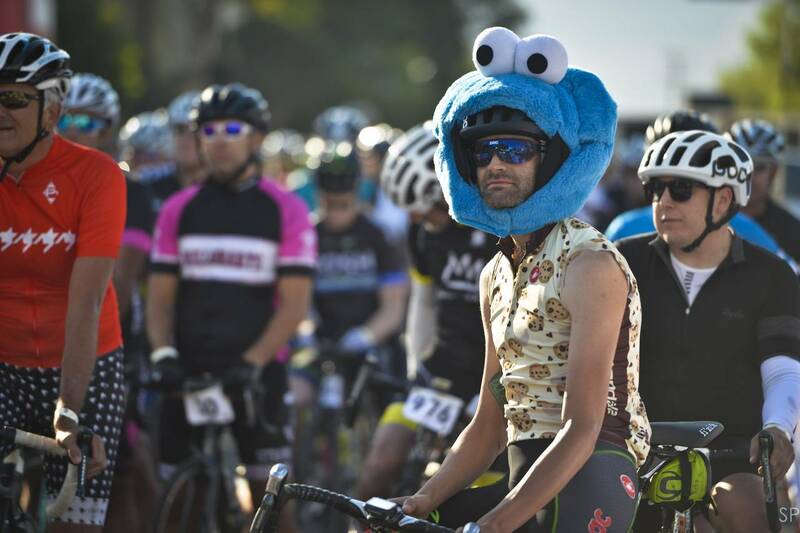 And he has video of Fabian Cancellara eating a cookie that he brought to Switzerland. It worked out well for everyone it seems. Not that many will care in the midst of the Tour, but here's the video of the challenge. The footage is narrated by Phil, and the camera work was actually done by Nathan Haas who agreed to mount a camera on his bike and follow behind. There's a good bit @8:50 where Phil is affectionally reflecting on the reality of riding with Fabian, and all the memories and images that such an event conjures up for him. Good stuff. Not that many will care in the midst of the Tour, but here's the video of the challenge. The Tour? What Tour? Sibiu is finished, and now there's only the Giro Rosa on!